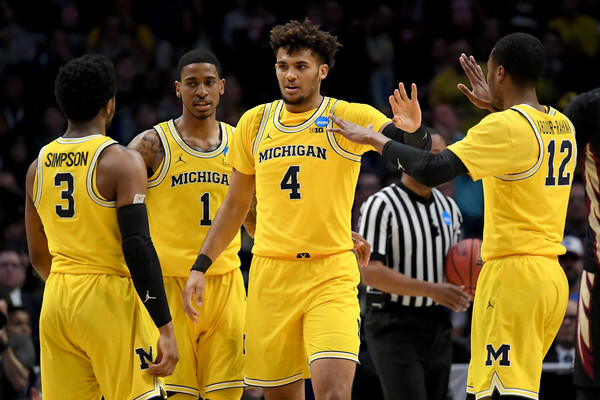 The first half of the Final Four is set, as Michigan and Loyola-Chicago planted their flag in the sport’s most prestigious weekend, dispatching of Florida State and Kansas State in the Elite Eight. #9 Florida State 54 #3 Michigan 58: The Wolverines, as expected, struggled against the depth and athleticism of the Seminoles, but managed to pull through, as FSU didn’t foul Michigan players in the closing seconds for some reason, and also turned the ball over 16 times, which statistically made the biggest difference. Charles Matthews led Michigan with 17 points and 8 rebounds, as the team overcame poor free throw shooting and an abysmal 3-point game (18.2%) to reach the Final Four for the first time since 2013, when they also reached the final and lost to Michigan, a result that was vacated recently. 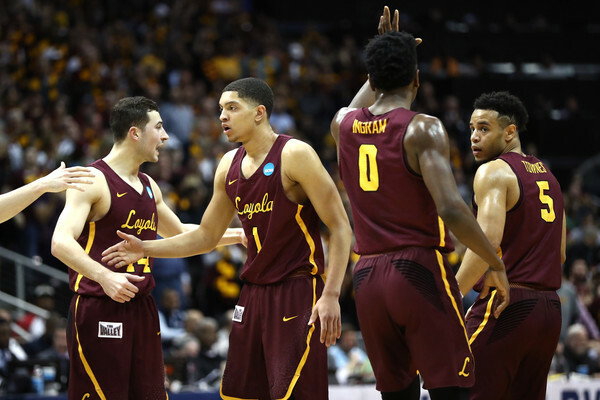 #11 Loyola-Chicago 78 #9 Kansas State 62: Loyola keep on marching, this time without having it close. The Ramblers shot 50% from three and 83.3% from the line, and that was that. Kansas State’s vaunted defense couldn’t keep up, and certainly not their limited offense, taking them further than anyone expected. Ben Richardson led Loyola with 23 points (6-for-7 from three), while KSU shot just 34.8% from the field. This is the second final four Loyola’s has reached. The previous one? In 1963, when the Ramblers won it all in a historic final against Cincinnati.